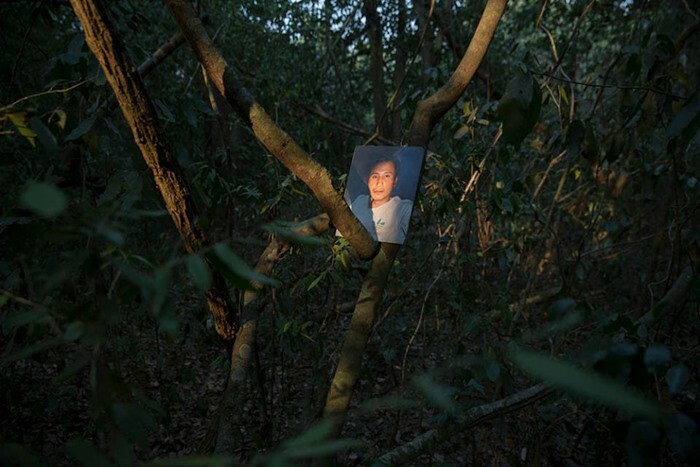 Almost three years after the disappearance of Billy, the ethnic minority activist, the lives of the Karen in Kaeng Krachan remain in trouble, facing intimidation, drought and displacement.Three years ago, the Karen activist Porlajee ‘Billy’ Rakchongcharoen disappeared from Kaeng Krachan National Park in western Phetchaburi Province. He was last seen being arrested by Chaiwat Limlikitaksorn, the former superintendent of Kaeng Krachan National Park, and four other park officers. Billy was a community rights defender who was helping Karen villagers to file a lawsuit against Chaiwat for ordering the eviction and burning of their village in May 2011. After his disappearance, his people’s hardships remain. 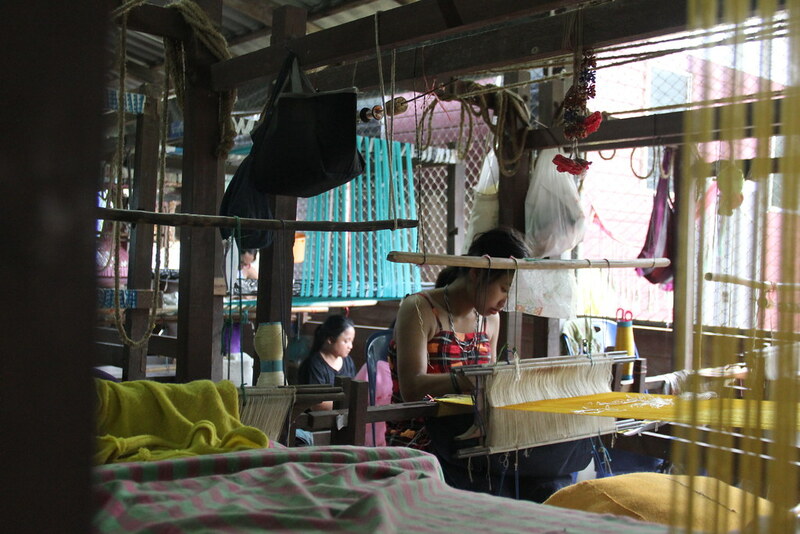 Due to its rich natural resources, Kaeng Krachan forest has been home to ethnic Karen for many generations. But in 1979, the Thai government demarcated areas of the forest as protected, forcing the Karen to leave their traditional homes. Authorities believe that the Karen’s crop rotation system is a threat to the forest ecosystem. The Karen community was relocated downhill to a barren area not suitable for rice and crops. Some villagers have insisted on staying in their homeland and continue to face regular intimidation as they struggle for justice and their livelihoods. A senior villager, Lung Mi, was one of the villagers who filed a lawsuit against Chaiwat. He remembers that when he lived in his homeland, his granary was filled with rice every year. After relocating the villagers, authorities offered each family 7 rai of farmland— but the land is too dry to nourish any crops. Lung Mi and his family agreed to move too late, so he was disqualified from getting any farmland. A friend warned that growing rice in the replacement land would be difficult but Lung Mi wanted to give it a try, and decided to rent land from a friend. When he harvested only a few bags of rice after a whole year of farming, Lung Mi, like many others, gave up. He is now in debt and has to work far away from his village to feed more than 10 family members who were forcibly evicted with him. One consequence of the forced relocation is that villagers have now begun working outside their village from a young age. ‘Bank’, a Karen teenager aged 19, told Prachatai that he started working at the age of 15. Villagers usually travel downhill and work at hotels and construction sites in tourist areas. When these teenagers come of age, many go to work even further away. Most never come back to the village, only sending remittances to their families once in a while. Bank was only a year old when his family faced eviction. Though he has few memories of those times, he is sure life was more plentiful than at present. Even now, he has to travel back to Kaeng Krachan more than 10 times a year to gather forest products for sale. “The only way to get there is by walking and it takes a whole day [per round]. Formally [park] officials shouldn’t allow us to do this but if we don’t, we have nothing to eat. We cannot grow anything down here,” said Bank. While men leave the village to work, women watch the crumbling of village life from the inside. After the village was relocated, staff from the Foundation for the Promotion of Supplementary Occupations and Related Techniques under the Royal Patronage of Her Majesty the Queen (SUPPORT) came to the village to teach handicraft skills to the women. But the returns for the villagers are questionable. 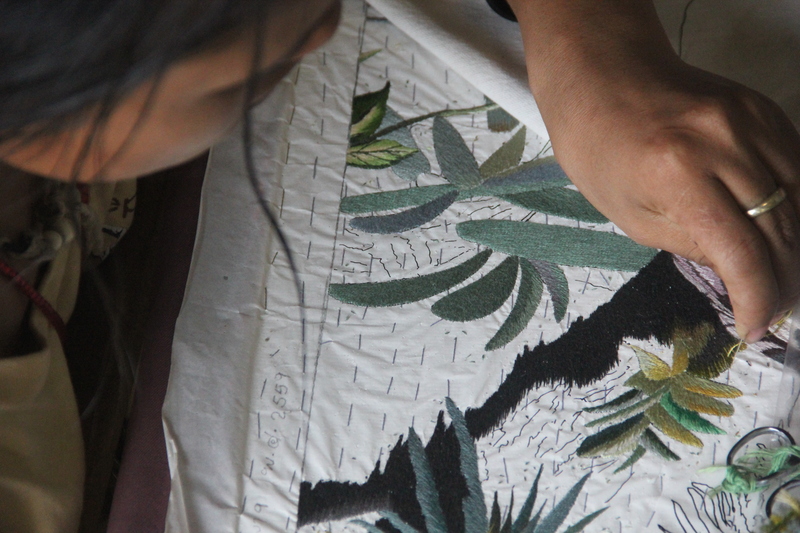 The crafts can only be sold to SUPPORT, and many villagers point out that the crafts they are instructed to make do not actually follow Karen traditions. Kip, age 39, said that she has to spend a whole month finishing just one item as it requires effort and tidiness. She receives approximately 3,000 baht per month in return. Since this is not enough to feed her family, she has to attempt to grow crops in the barren land for a little extra income. “Up there, we had chilli, rice, sugar cane and cotton right beside our homes. The only thing we had to buy was salt. Now we have to buy everything,” said Kip. Ko-i Meemi, the 106-year-old spiritual leader of the group, give a very simple reason for why the new land is not suitable for living: “It’s too hot and the sunshine is blinding”. Temperatures can hit over 40 degrees Celsius during the summer. Ko-i stated that he thinks about his homeland every hour of every day. 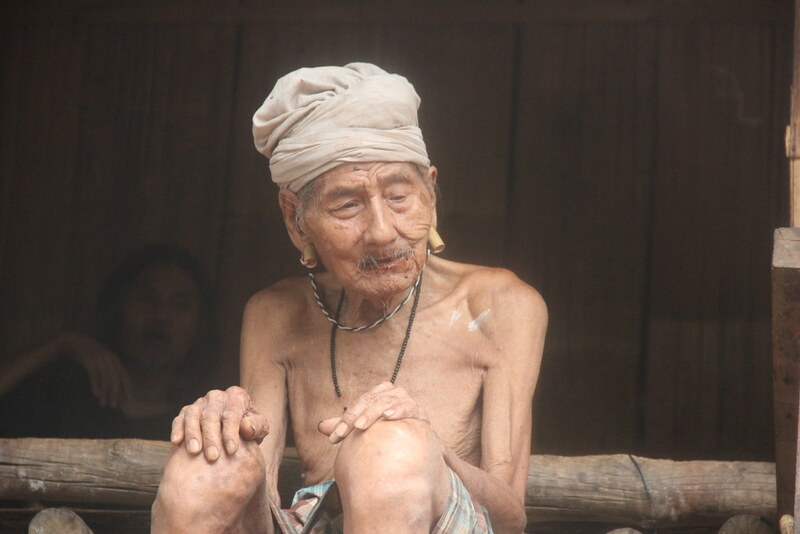 Ko-i has lived for more than a century but he says his life has never been so difficult. He has to travel to Bangkok to pursue the lawsuit against Chaiwat that never seems to end. He is afraid he will never see his homeland again.